Preheat the oven to 180c or gas mark 4. Grease a 20cm bundt tin or large ring mould tin, then dust lightly with flour, making sure to tap out any excess. Sieve all the dry ingredients into a bowl. Slowly melt the butter along with the cider in a saucepan over a low heat. Remove from the heat and add the milk, egg and vanilla, then carefully mix into the dry ingredients. Spoon into your prepared tin and bake for 45-50 minutes or until a skewer inserted into the centre comes out clean and the top of the cake bounces back when pressed. Leave to cool upside down in the tin to ensure the bottom of the cake is flat. To make the glaze, heat the cider in a saucepan over a medium heat. Break the chocolate up into a bowl and then pour over the hot cider. Stirring from the middle outwards to make a smooth ganache. remove the cold cake from the tin and pour over the ganache. Sprinkle with white and dark chocolate shavings and serve. Looks delicious! I’ve just wrote a blog on the Christmas Season, have a look and see if you agree! Thanks. Thanks Joel! It is as good as it looks so had to share it. Agree christmas starts too early these days! Glad you agree! Have a great Christmas! 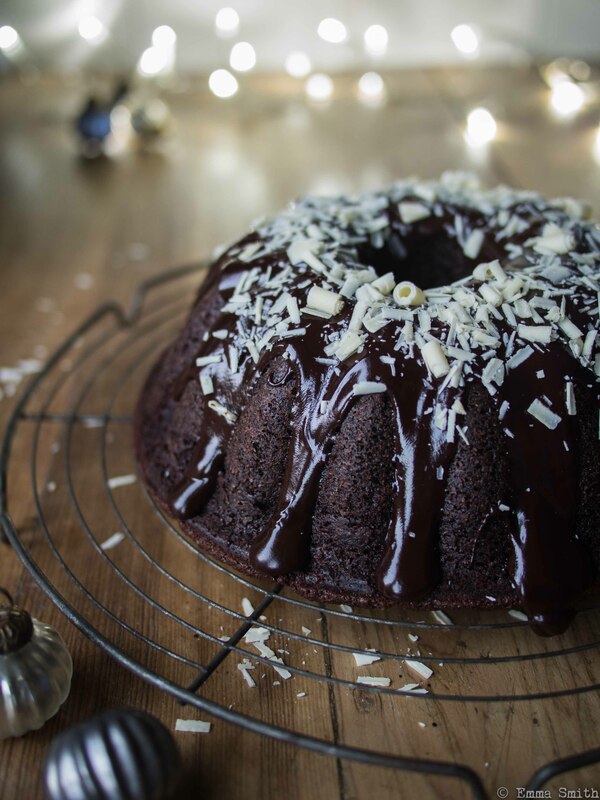 This mulled cider chocolate cake is amazing!! Tastes sooo good and will be making again for an alternative to Christmas pudding!! Best chocolate cake ever!! Glad you enjoyed it Helen! It was a great surprise just how good it was.